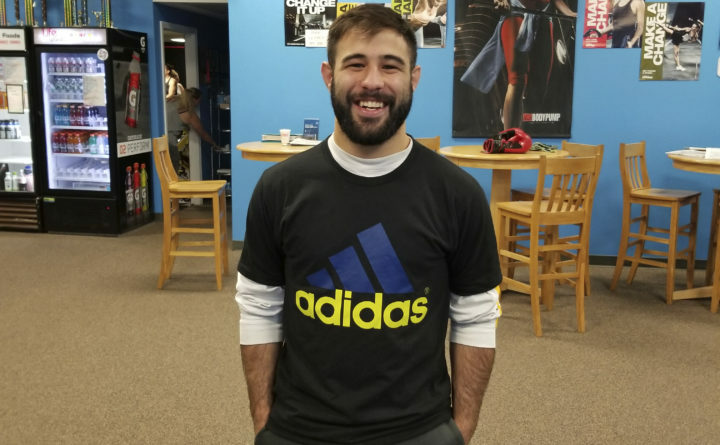 Bangor’s Fred Lear will attempt to win a second regional championship in as many fights on Feb. 1 when he competes for the New England Fights amateur featherweight title as part of NEF 37 at the Cross Insurance Center. Lear (6-2) face undefeated Zac Richard (3-0) for the vacant 145-pound title as he returns to action for the first time since since August 2017 when he scored a second-round technical knockout of Walt Shea in Bangor to win the NEF amateur bantamweight belt. Lear and Richard will meet in the middle, weight-wise. Lear is moving up from the 135-pound bantamweight division and Richard coming down from the 155-pound lightweight ranks where he scored his past two victories. Lear is ranked fourth among New England amateur bantamweight fighters, according to Tapology.com. The 27-year-old Lear, a former wrestler and football player at John Bapst Memorial High School in Bangor who now trains at Young’s MMA in Bangor, brings a three-fight winning streak — all by second-round stoppages — into his fight with Richard. Richard also boasts a wrestling background, having won a Class A state championship in 2015 while competing for Massabesic High School in Waterboro. He began his MMA career barely a year ago and has stopped his first three opponents all in the first round with his most recent bout lasting just 51 seconds. Richard trains at Nostos MMA in Somersworth, New Hampshire, under the eye of UFC competitor and former NEF pro lightweight champion Devin Powell. Another Bangor fighter set to return to the cage Feb. 1 after a considerable absence is Ricky Dexter. Dexter will fight for the first time since February 2017 when he takes on Ruben Redman in a professional welterweight bout as part of NEF 37 at the Cross Insurance Center. Dexter is 1-0 in the pro ranks, scoring a first-round knockout of Matt Denning at NEF 27 in Lewiston. That followed a 5-2 amateur career highlighted by winning the NEF amateur welterweight title in February 2016 with a first-round TKO over previously unbeaten Caleb Farrington in Dexter’s final contest before turning pro. “I’m absolutely ecstatic to be finally fighting on my home turf,” said Dexter, who trains at Young’s MMA in Bangor. Redman (0-2) last competed in August 2016 in Bangor. His latest victory came as an amateur in June 2015 when he scored a first-round technical knockout against Heath Hanson at NEF 15.